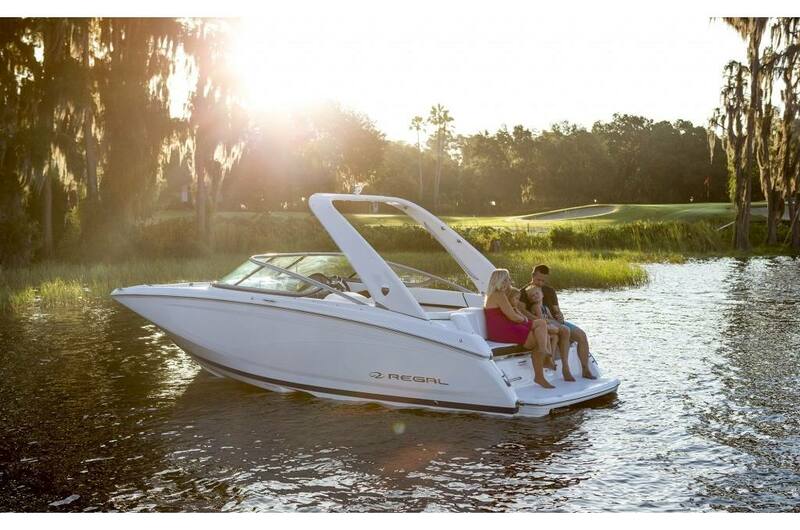 The best memories are made when you're together with those who matter the most. 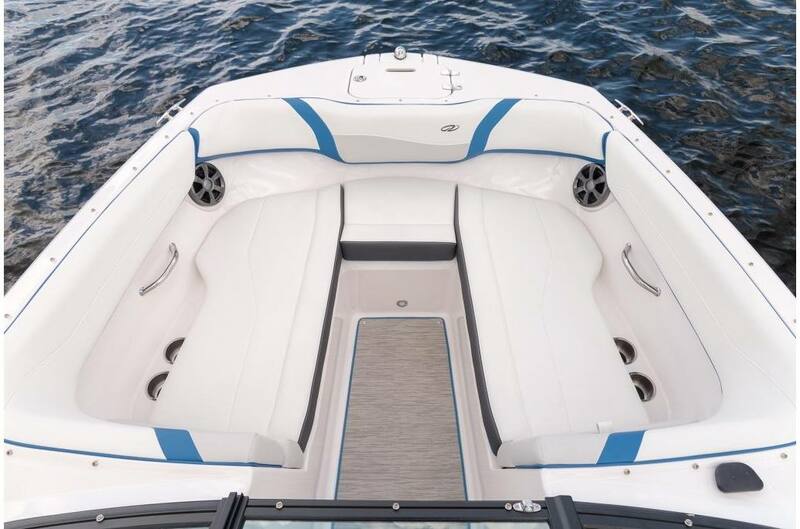 The Regal 22 FasDeck makes it easy with expansive Social Seating in the cockpit and a large transom bench. 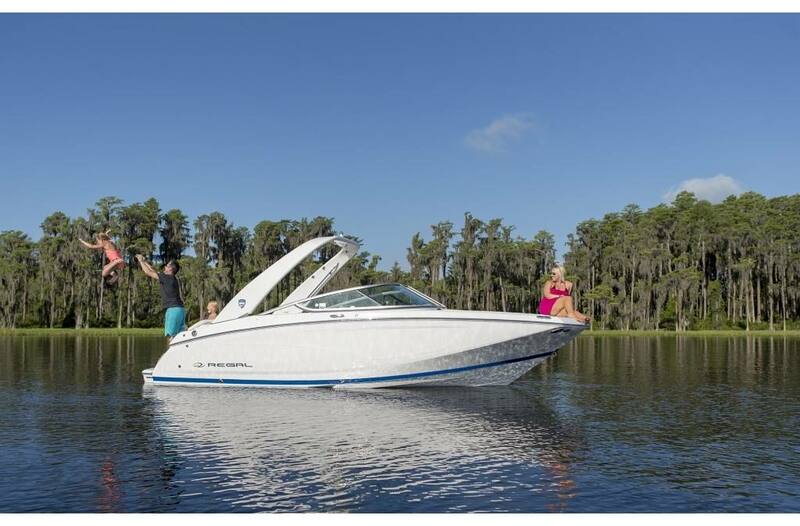 Cruise in comfort and create lasting memories with the 22 FasDeck. 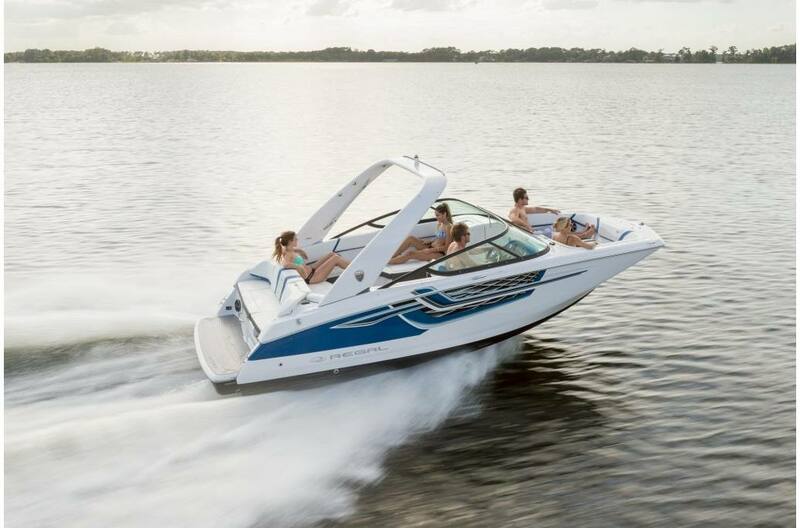 Power of Choice: Enjoy the same layout of the 22 FasDeck with the possibilities of outboard power, explore the Regal 23 OBX. 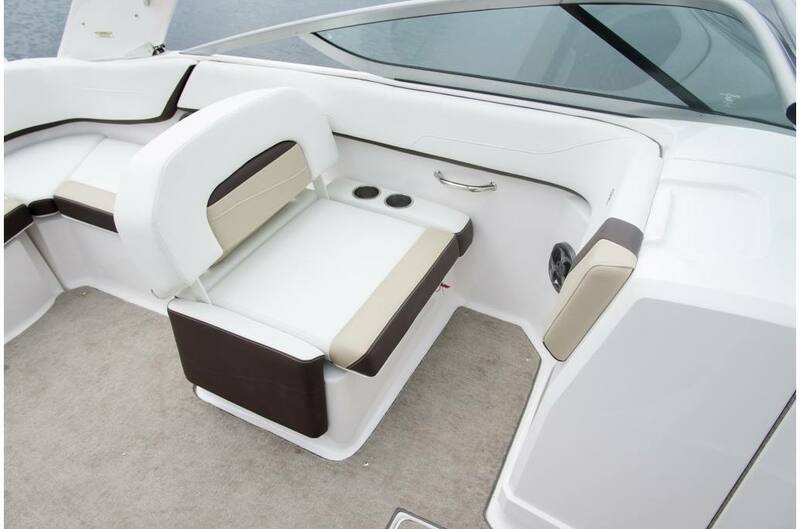 Transom Walk-Thru: Board effortlessly without having to move any cushions. 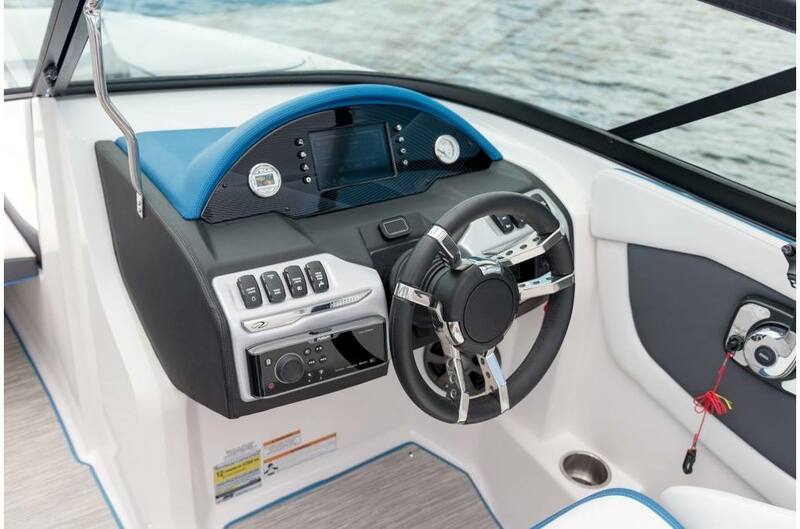 Social Seating: Flip the seat to face forward or aft and see the action on the water or in the boat. 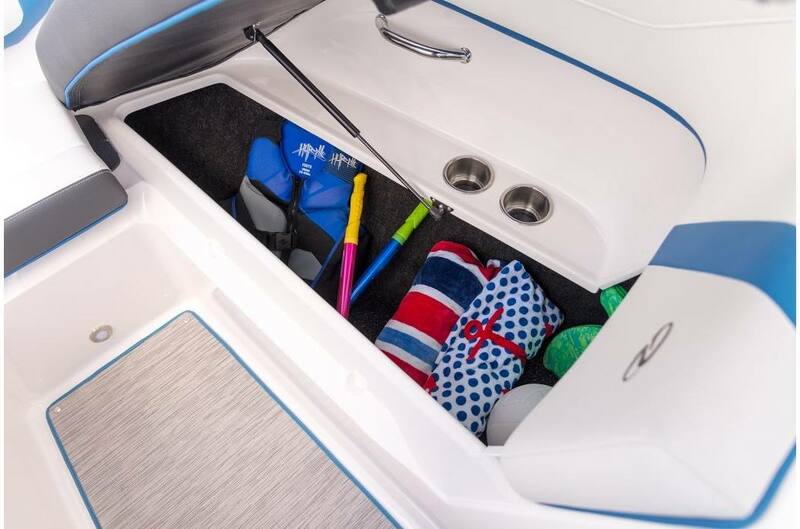 Transom Bench Seating: Whether rafted up or beached, the full size transom bench seat provides the best place to socialize with those in the water. 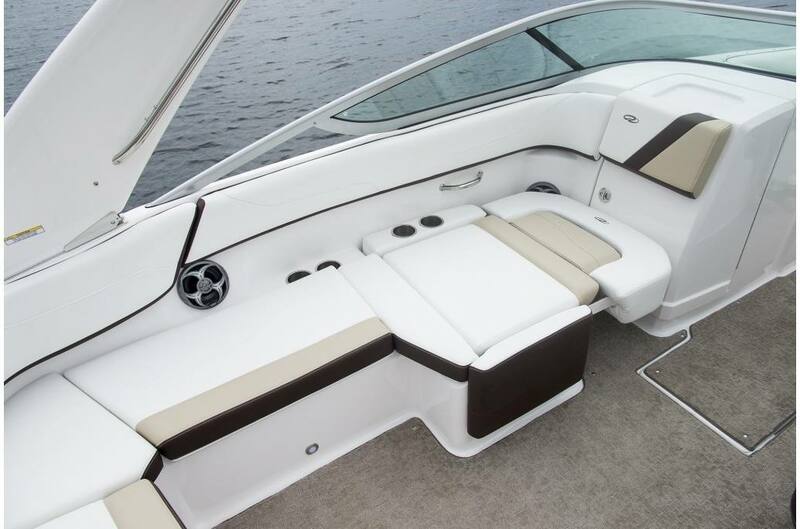 Handcrafted Upholstery: The 22 FasDeck features handcrafted upholstery, stainless accents and expanded seating for the utmost luxury and comfort. 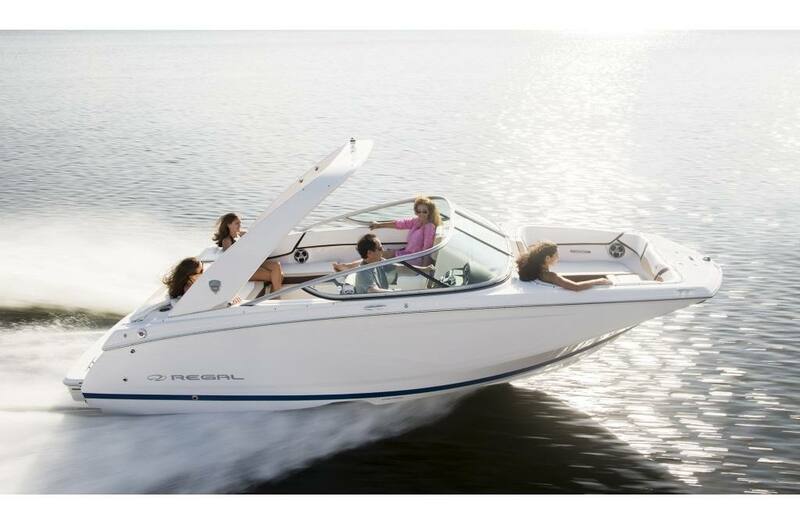 Social Seating: With the flip of a seat, face forward or aft to see the action on the water or in the boat. 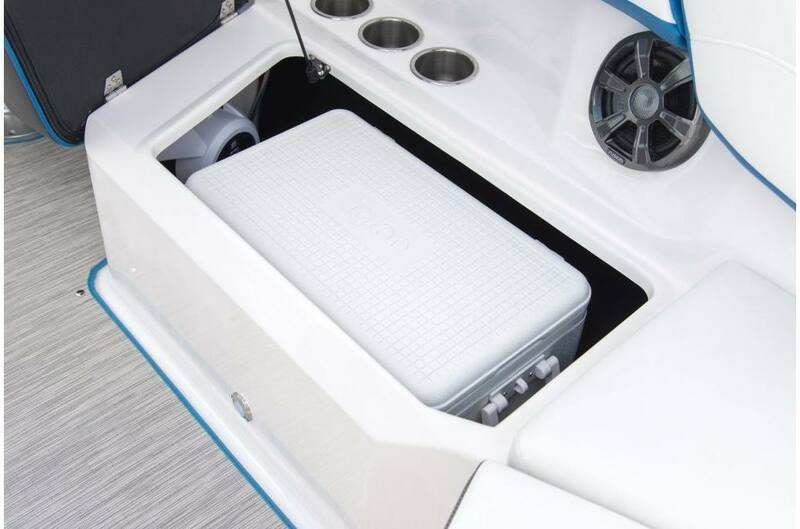 Bow Anchor Locker with Fiberglass Lid: No need to drag the wet anchor through your boat, the 22 FasDeck has designated storage. 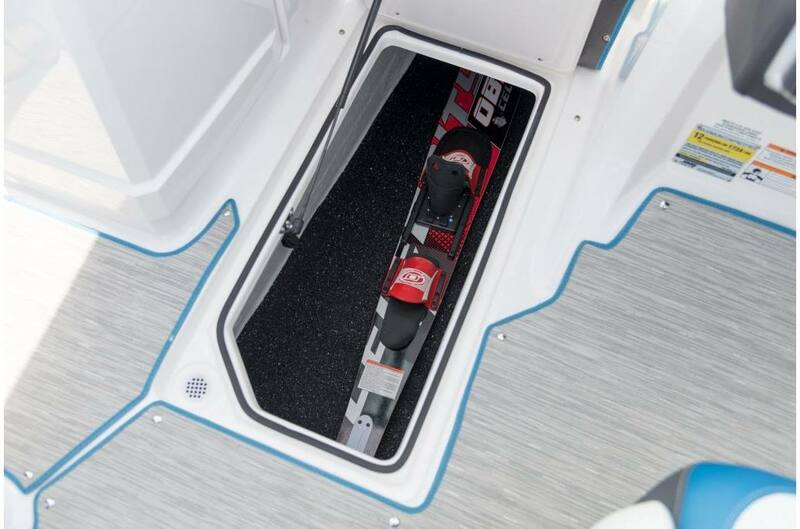 Stainless Bow Ladder: The bow ladder makes boarding easy on either end of the boat. 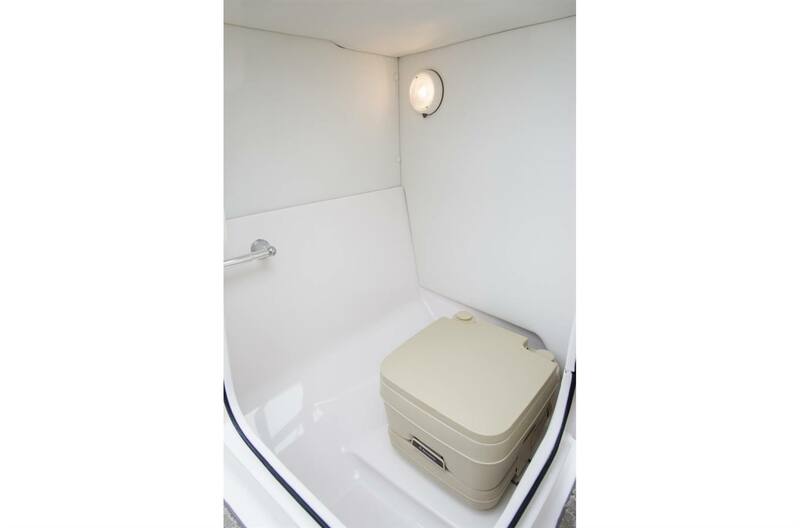 Toilet - Portable Head - With the Portable Head, you won't have to return to the dock any time soon. Anchor with Rope & Chain - Stainless Steel Anchor comes with 100 ft of 3/8" rope and 4ft of 1/4" chain.